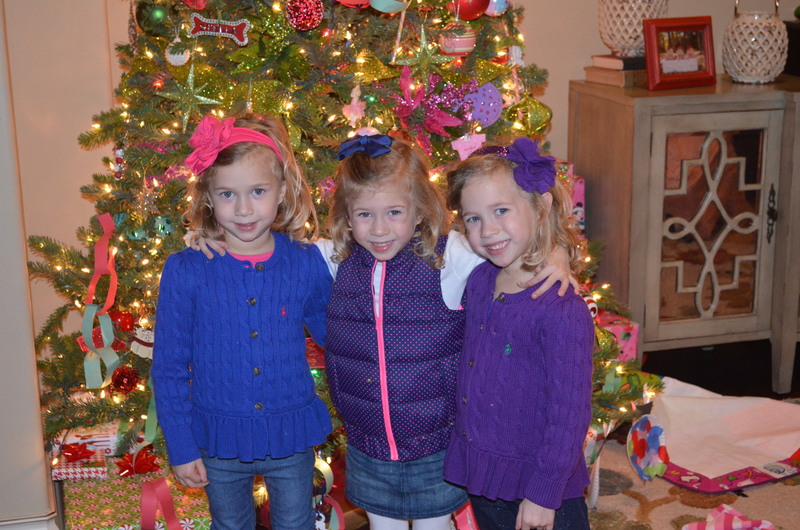 Christmas is always 3 times the FUN! Where have my babies gone? 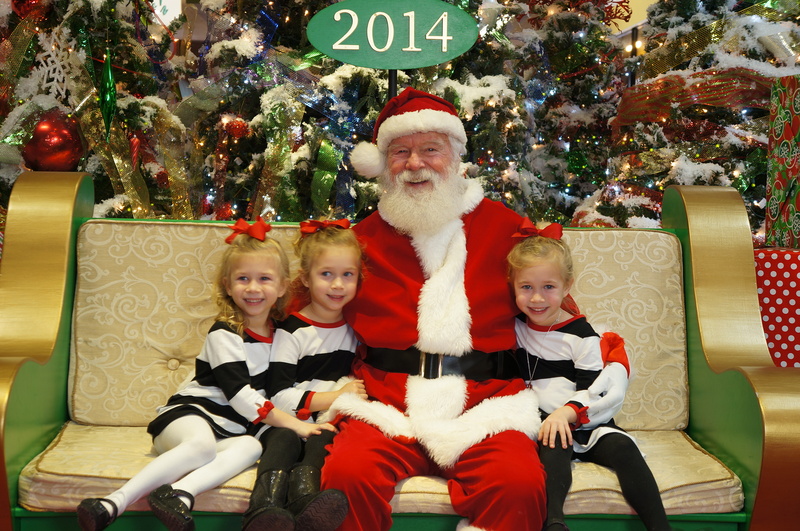 These big girls sitting with Santa and telling him “We are going to leave you cookies!! !” This year, I am really excited for Christmas. 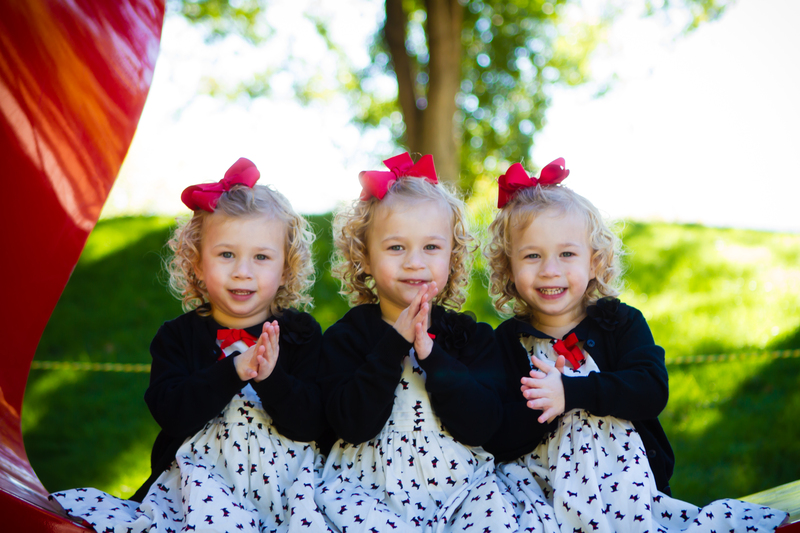 It is the first year since they were born that we have really enjoyed the Christmas spirit of things and I really think it will be a blast with them. 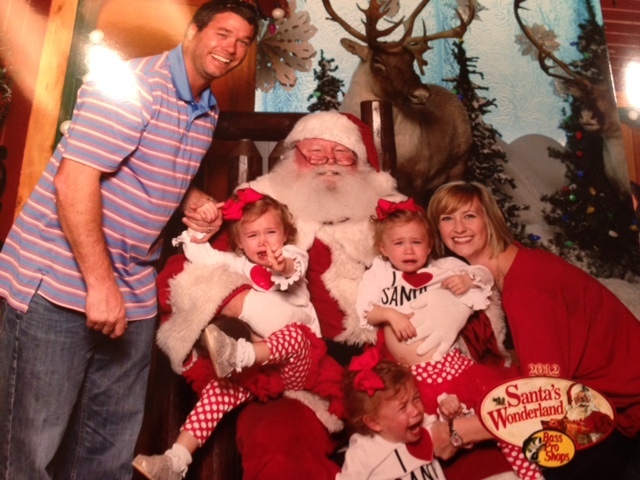 Don’t get me wrong….Every year is a great year with your children, but year one…see picture below. 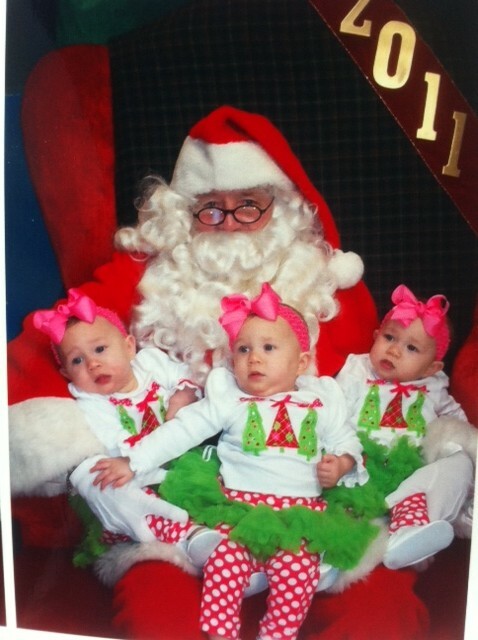 Here is the girls their first time visiting Santa in 2011. I am not sure how much of those ten months to that point I remember! Always loved this picture! Cute little tushies. 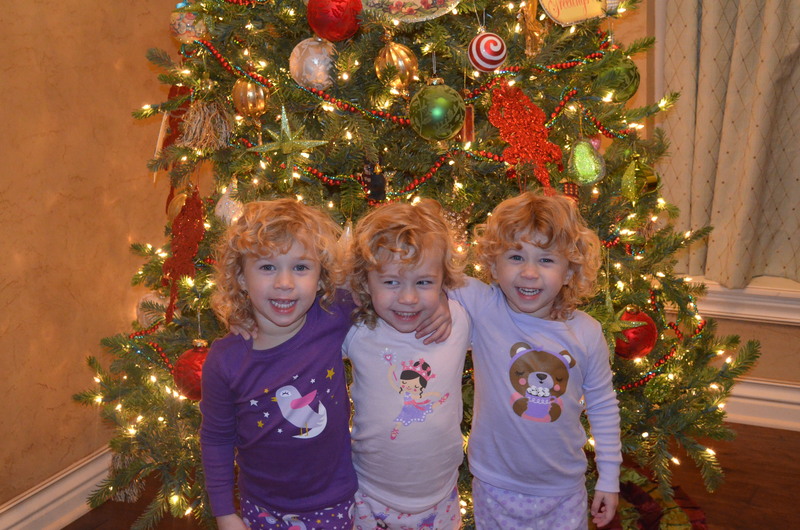 And, this was Christmas 2012. That was a real treat. This is a photo to remember for the books. That is about what life was like at that point with one and half-year old triplets! And this is about when it started getting really fun during the holidays. Look at those darling curly afros! When they want to these sisters are so sweet to each other. This was Christmas last year at two and a half years. Right before Christmas last year. They still look like babies to me. Insert tears here. But, as my girls grow something magical is happening. We are settling in with our family after years of chaos and trying to learn the ropes. We are really getting to know who our babies are becoming in this world and it is truly magical. Sweet souls, nurturing hearts, stubborn little mules (who knows who they get that from. insert my picture here), goofy and silly, creative and spunky and learning so much about the world they cannot stop talking! We have decorating cookies, talked about Jesus and the real reason we celebrate Christmas, purchased gifts for children in need (which they loved doing and never wondered why the toys were not for them), been to see Santa, looked at Christmas lights, went to our first Thunder game, and now we cannot wait to celebrate with our families. As we reflect on the meaning of Christmas, I thank God for his Son Jesus. As a parent, you think of God giving his only son to the world. As a parent you know when your children have special qualities but can you imagine the magic God felt in his heart and what he knew his son would do for the world? Children give us so much to reflect on and take us back to simpler times especially during the holidays. It is a time to smile, share laughter, be silly, have a heart for those in need, pray for those who face challenges and health concerns and truly be thankful for each of our blessings before we close out another year. From the Coy crew, we wish everyone a very Merry CHRISTmas and a happiest of celebrations with family and friends! I am sure ours will be filled with Mom and Dad trying to figure out what to do with all the “blessings” Mimi and Papa and Nana and Papa give the girls…As well as good ole’ Santa Claus.